Lithium-Ion Battery Chargers for OEMs. This 3-cell li-ion battery charger is a microprocessor controlled unit designed exclusively for charging three cell 10.8 V or 11.1 V. Lithium-ion and lithium polymer (lipo) battery packs. It has led indicators to indicate the current operating mode of the charger. 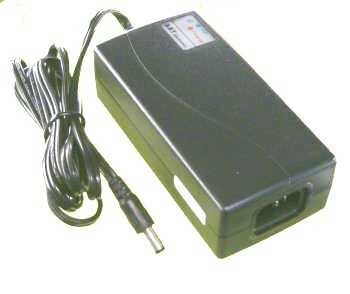 This battery charger complies with applicable safety agency requirements of UL, cUL and CE. Charge algorithm Constant current while the battery draws the maximum charge current, then constant voltage when the voltage reaches the maximum. Full load & natural convection. Twelve optional DC Plugs slip over the 5.5 x 2.1 mm connector if desired. Input Voltage: 100 - 240 Vac, 50/60 Hz.